A former Governor of Oyo State, Senator Rashidi Ladoja, has berated the administration of Governor Rauf Aregbesola for the way the state is being run, saying there is no government in the state since Prince Olagunsoye Oyinlola left as governor in 2010. Ladoja said this in Ile Ife on Thursday at the commencement of the campaign of the governorship candidate of the African Democratic Congress in Osun State, Alhaji Fatai Akinbade. 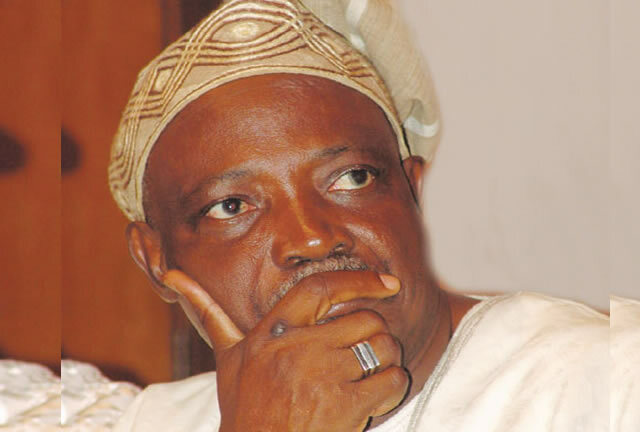 Ladoja, who is a chieftain of the party, also said that Oyo State had not had a good government since he left office as the governor in 2007. He said, “There has been no government in Oyo and Osun states since Oyinlola and I left office. You can all see that salaries are not paid regularly. “They are still paying half of the insufficient salaries. I want to appeal to you, if you love your state and the people, the only one you can vote for is the candidate of the ADC, Alhaji Fatai Akinbade. He is the only one that can be trusted. Oyinlola also called on the people of the state to vote for Akinbade, who he described as an honest and competent politician. Oyinlola defended the choice of Justice Olamide Oloyede (retd.) as the deputy governorship candidate of the ADC in the state, saying her fearlessness made her the choice of the people. Akinbade urged the people of the state to troop out and vote for the ADC during the election. He said he was the only candidate that could rescue them from the suffering they were plunged into by the current administration. Akinbade said the state government was paying N124m to the consultant paying local government workers’ salaries and paying more for consultants hired to pay state government workers. He said this task should be done by the civil servants.